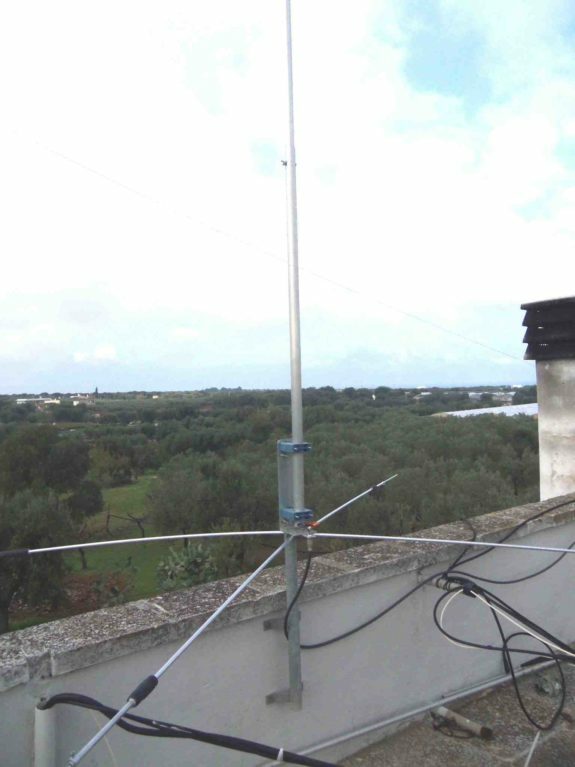 Trapped multiband vertical antenna. Available with solid loaded radials or with wire radials. The version with wire radials 1/4 lambda (two per band) is great for the DX on all bands, installed close to ground with radial flat on the floor. Excellent bandwidth. The version with solid loaded radials can be installed low or high altitude. Good bandwidth. The use of traps allows independent calibration for of each one band. All versions are DC grounded to eliminate the risk of electrostatic charges and reduces the noise level of about 12dB, typical of all verticals, while maintaining the performance. Prosistel PST1524VC Amateur Radio Shops HAM Radio Dealer Supplier Retailer LAMCO New/Second Hand Twelve Months Warranty.